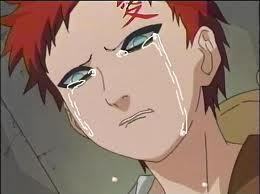 gaara sad. . Wallpaper and background images in the Naruto Shippuuden club tagged: gaara. in what episode does this happend? I think this was back in season 1 of Shippuden...Can't remember...I just wanna hug him..lol.